Today we are beyond thrilled to welcome author and illustrator Emily Gravett to our blog. 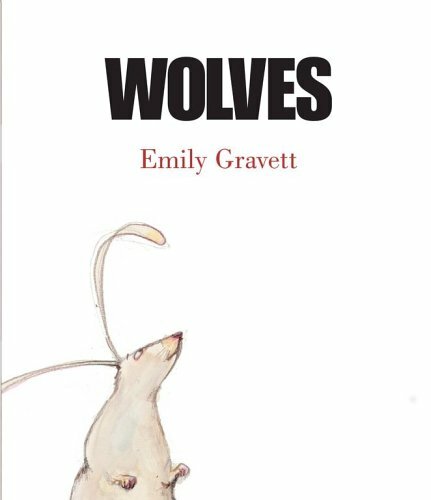 Emily won the MacMillan prize for illustration in 2005 for her book Wolves and is on the 2017 Kate Greenway Medal shortlist for her work on her newest book Tidy! After going through our Q & A with her both of us came to the conclusion that we wish we were friends with Emily in real life. Her insights on picture book making, parenting and living a nomadic life all provided gems of wisdom. This may not be a fair question, since we are limiting it to 5, but if you were hosting tea, which 5 children's book authors/illustrators (dead or alive) would you most like at your table, and why? 1) Dr. Suess, because well...he was a genius. If I'm feeling out of sorts or fed up then reading Fox in Socks has the ability to cheer me up. Even better if I can read it to someone else (less easy now I don't have a small child - although my 19 year old will occasionally oblige). 2) Edward Ardizonne. His drawings make me sigh. Aw! 3) Janet Ahlberg's drawings were a huge inspiration when I first started thinking illustration might be something I would like. All that obsessive detail. Beautiful! 4) Charles M. Schulz. I was a Snoopy nut as a child. I had a lot of toy Snoopys. My favourite was nick-named 'Old Snoop' and I chewed him so much (with love of course) that he only had half his ears. He was more darn than cloth and my mum had to replace his nose (purple velvet- very regal), and make him an entire new outfit because his clothes fell apart. A family friend gave me her childhood set of Snoopy books, and I adored them. I had a huge crush on Linus. He was my perfect man. Funny, I think I actually ended up with Pig Pen instead. 5) Maurice Sendak. Where the Wild Things Are was a book I loved as a child, and then bought for my daughter. It is perfect. It doesn't age. We read in an old interview of yours that your parents always supported your artistic endeavors, how would you say that has impacted your life as a parent? Any words of wisdom you care to impart to our readers about how they can support creativity in their children? My parents are art nuts. They were the perfect parents for the artistic child I was. My daughter's never been particularly interested in drawing or making and most of our arty projects ended up sadly solo with me getting super involved while she wandered off to read a book. I decided early on it was more important to encourage her interests rather than trying to get her to follow mine. She loved books which was something we shared. She's always been socially and politically motivated, and is heading off to University this year to study Social Anthropology. I'm very proud of her. 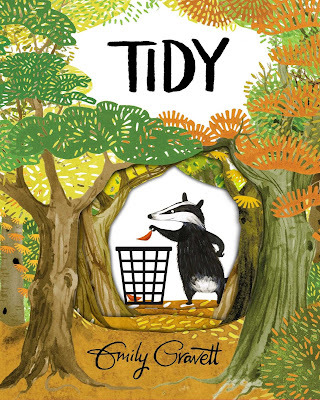 We are so looking forward to the U.S. release of your newest book, Tidy, this month (it comes out tomorrow!). The illustrations look amazing. Can you tell us anything about the inspiration behind the book and what you hope your audience will take away from it? Tidy didn't start off as a book about the environment. It started as a book about a badger, hamster and a mole going on a treasure hunt. I have horrible problems coming up with ideas, and that was a horrible idea. My editor suggested I give myself a week to make it work, and if it didn't to abandon it. 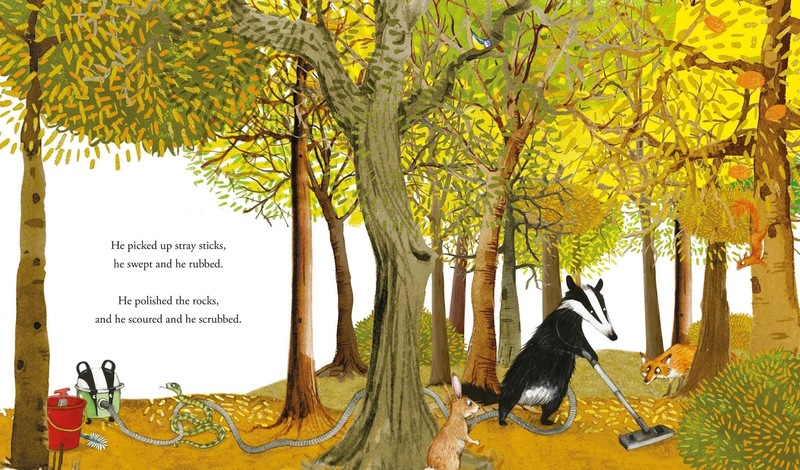 By the end of the week the mole and the hamster had been axed along with the treasure hunt and I was left wondering what would happen if a badger couldn't get access to his favourite foods, and more importantly, why. We know that The Giant Jam Sandwich by John Vernon Lord is one of your favourite picture books, can you share a few more of your favourites from your childhood or your daughter's childhood? Perhaps 5 essentials that you would recommend for any home library? As I've said before, I loved Where the Wild Things Are as a child, and Snoopy. I'm also a big Raymond Briggs fan. They're quite sophisticated for small children, but in a way that's what I like. Raymond Briggs produces books for people, not just children. My daughter really loved Babette Cole's books as a child. They deal with tricky subject matters in an irreverent but practical manner. She died recently, and I think it's a huge loss to the world of picture books. Finally, I don't think any bookshelf would be complete without a copy of Pat Hutchins 'Rosie's Walk' for me it's the perfect picture book. 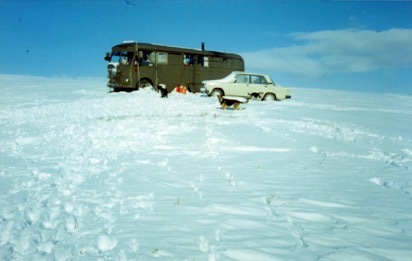 Lastly, we know that you spent some time as a nomad and that involved your 1960's bus. What do you do with your bus today? Are there any photos you can share with us? 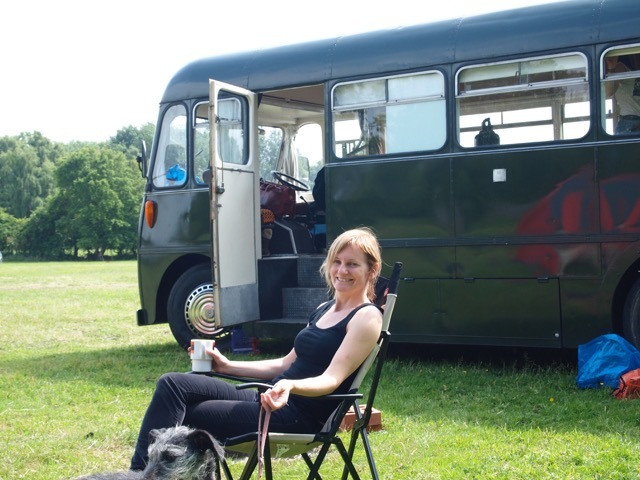 The bus that we lived in for eight years was sold the year I started at University, but a few years ago we bough a similar (slightly smaller) vintage bus that we use as a holiday home. It's lovely, but has a top speed of 35mph, and only gets 10 miles to the gallon! 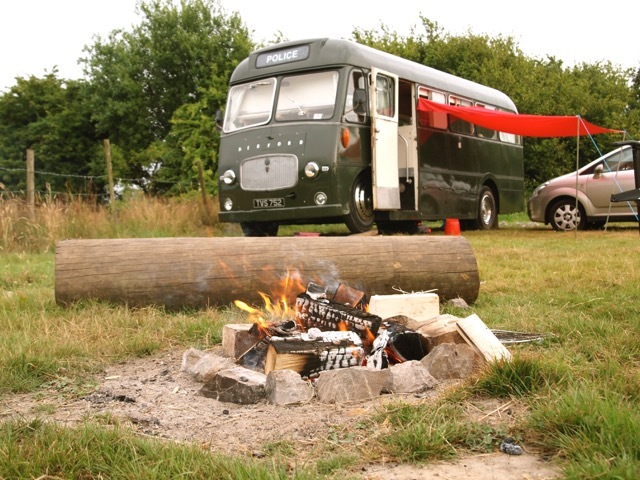 Petrol is very expensive here in the UK, so we mostly drive to the nearest campsite (about five miles from our home). Coincidently the nearest village to the campsite is also the village that my favourite picture book 'The Giant Jam Sandwich' is based on. It seems like more families are taking to the road to have a traveling experience with their kids whether by bus, trailer or other means. Is there anything you miss about that lifestyle? To be honest, I am very happy as a house dweller. I love gardening which is something I dreamt of when we lived on the road because we obviously didn't have any land. I also love running water, central heating and electricity. But...I do miss the sense of community I experienced on the road. I felt like I was part of something. 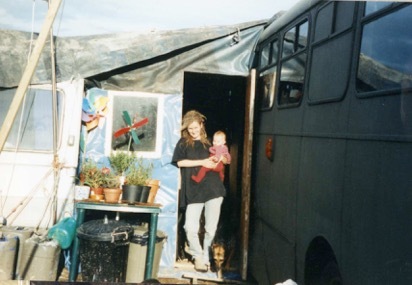 My friends often lived in the vehicles around me and we spent a lot of time sitting around fires outside chatting. I loved that the view from my window changed, and I loved how cosy the busy felt with the burner lit and rain drumming on the roof. I really didn't love the mud, or being evicted. Emily and the old bus. Thank you Emily for stopping by! If you aren't already, you can follow along with Emily via her instagram.